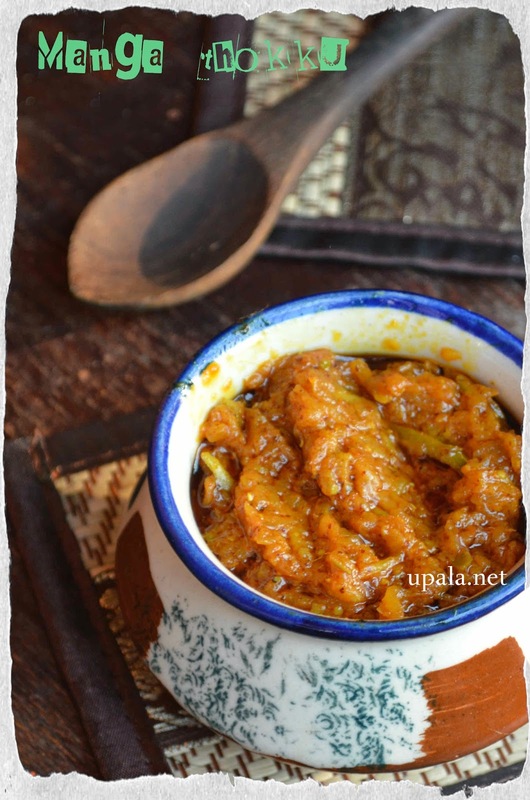 Manga thokku is a common pickle made in all house during Mango season. It is a great combination with curd rice also some prefers to mix it with Hot rice and eat as manga sadam. 1) Wash the raw mango and wipe it. It should be completely dry. 2) Grate the raw mango with a grater. 3) Heat oil in a heavy bottomed pan and temper Asafoetida . 4) Add Turmeric powder, Red chili powder and add grated mango, saute for 5 mins. 5) Saute the mixture in low flame for 2-3 mins and add Mustard powder and Salt. 6) Add fenugreek powder and mix well. 7) Oil will ooze out, at this point switch off the flame. The tasty manga thokku is ready. Store it in an Airtight container. 1) Dry roast fenugreek in a pan till you get nice aroma. 2) Transfer to a plate to cool down. 3) Grind it with a mixer and store in airtight container. 1) Wash and clean the mustard seeds. As mustard seeds are small, more care is needed while cleaning. 2) After cleaning spread it on a clean cotton cloth to dry. Then dry roast in a low flame and cool down. 3) Grind it using a mixer. 1) Usually mustard seeds are tempered with Asafoetida instead of adding mustard powder but I tried adding mustard powder it came out well. 2) If you are using bar Asafoetida, you need to take it out from pan once you temper. After it cools down just press with fingers to break and add to thokku. 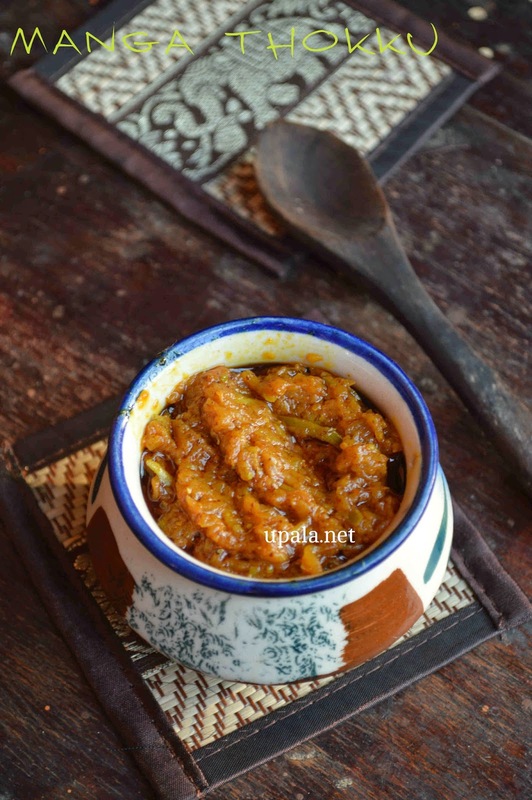 3) Rock salt and bar Asafoetida is always better for pickles. 4) It is better to store pickle in a glass container or China clay (pingan) container and refrigerate. Make sure that the container is completely dry and even a drop of water will also spoil the pickle. 5) Every time you take the pickle, stir it well with a spoon. 6) I prefer to grate the mango with skin, it has come out well or You can peel the skin and grate. Also make sure the Mango is hard and should not be riped. 7) Chilli powder can be altered as per taste.